Click on the links below to learn about important information regarding our avian patients, or visit our Veterinary Library for a more extensive list. 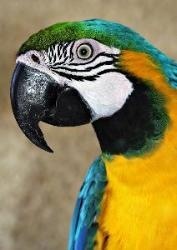 The majority of our avian and exotic patients are seen by Dr. Marder and Dr. May. They are available Monday - Saturday. 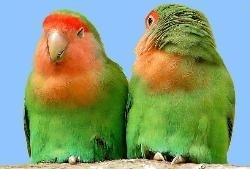 Please call (516) 379-6200 to schedule an appointment for a physical examination, beak, nail and wing trim or routine diagnostic tests for your bird or exotic pet. The majority of pet birds have limited activity outside their cages, and therefore poisonings are not common. However, birds with free household access are at potential risk of becoming exposed to toxicants. Birds are curious in nature and certain objects may be attractive to them. Therefore, the ASPCA Animal Poison Control Center is providing bird owners with some helpful poison prevention tips to keep their feathered friends safe. 1. Be aware of the plants you have in your home. The ingestion of azalea, oleander, yew or rhododendron could produce life-threatening clinical problems. 2. Store all cleaners, pesticides, prescription and over-the-counter medications out of your bird's reach. 3. Food and beverage items that could be dangerous to birds include: onions, garlic, chocolate (bakers, semi sweet, milk, dark), coffee (grounds, beans, chocolate covered espresso beans), tea, yeast dough, salt, tomato leaves and stems (green parts), potato leaves and stems (green parts), rhubarb leaves, avocados, cigarettes and other tobacco products, moldy or spoiled foods and alcoholic beverages. 4. Foreign objects - mothballs, potpourri oils, pennies (minted after 1983), homemade play dough, fabric softener sheets, automatic dishwashing detergent and batteries could cause problems if ingested by birds. 5. Birds are sensitive to inhalants and they typically require longer periods of time away from treated areas. Make sure your bird does not enter areas in which insecticidal foggers or house sprays have been applied for the period of time indicated on the label. Contact the manufacturer for recommendations if the label information is not specific. Some common sources for fumes include aerosol products such as hairsprays, perfumes and air fresheners, insecticidal fumigants, overheated Teflon or Silverstone coated pans, automobile exhausts, tobacco or other forms of smoke, glues and paints. If your pet bird has been exposed to any of the plants, products, or chemicals listed above please call (516) 379-6200 to schedule an evaluation today.